OCCC’s commencement ceremony for 2012 and 2013 graduates will be at 7:30 p.m. Friday, May 17, at the Cox Business Convention Center  in downtown Oklahoma City. Forty-seven-year-old graduate Inda Davis said she is ready. Davis said she had struggled with the idea of going to college. She said she didn’t think she could do it. Davis said she was wrong. She said the relaxed atmosphere on campus and the professors helped her deal with her fears. Davis said she won’t be alone when she receives her diploma. “My whole family and my grown kids are going to be there,” she said with tears in her eyes. Davis is transferring to Trident Technical College, a nursing school in South Carolina, where her husband has gotten a job offer. Her advice for others is “just don’t be afraid and go.” Once there, she said, work with your professors if you are struggling, and don’t overload yourself. Interpersonal communications major Lauren Tubbs, 21, also is one of this year’s graduates. She will transfer to the University of Central Oklahoma in the fall. “I have really enjoyed OCCC,” Tubbs said. “I liked getting to know my professors one-on-one, just having that personal relationship. Graduation Services Director Barbara Gowdy also has advice for those participating in the commencement — check the news to be aware of what is going on downtown that night. She said those attending should arrive early for check-in. Students will be given a name card to fill out with their address so their diploma can be mailed to them, then will line up in the robing area for the commencement. During the walk across the stage, students will be handed a diploma cover, Gowdy said. 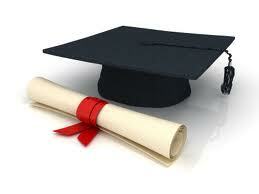 Students will receive their diplomas in the mail by July. Enrollment and Student Services Vice President Marion Paden said the college can expect as many as 444 students  to participate in the 2013 commencement ceremony. She said this number is figured each year by the number of caps and gowns ordered from the bookstore. “Last year 360 students ordered caps and gowns from the bookstore and approximately 370 participated in the commencement ceremony,” Paden said. Gowdy said on graduation night many students will be feeling a lot of relief and excitement about going from one phase of their life into another. For more information about commencement ceremonies, contact the Records and Graduation Services offices at 405-682-7512.